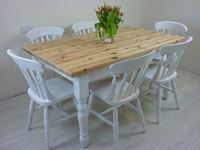 7ft Pine Farmhouse Table + 8 Fiddleback Chairs. 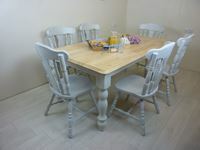 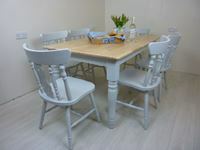 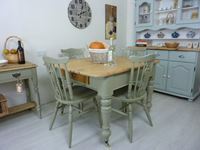 5ft Pine Farmhouse Table + 6 chairs in Different Grays. 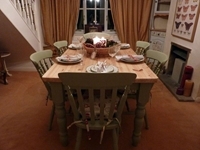 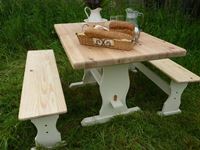 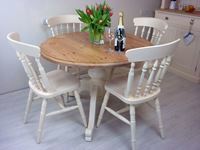 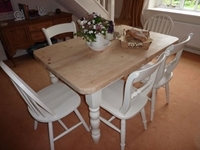 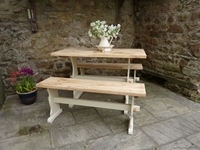 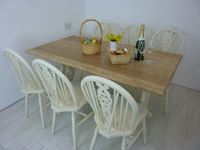 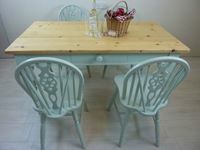 6ft Carved Country Pine Farmhouse Table + 8 Chairs. 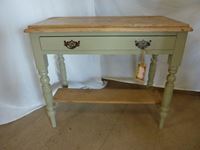 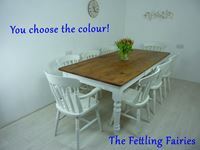 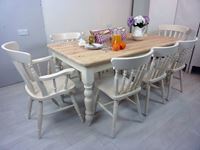 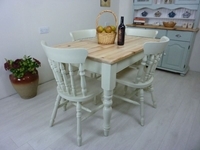 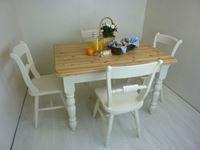 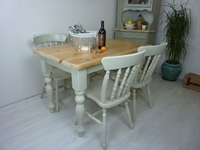 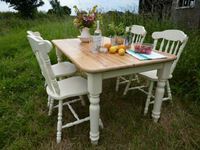 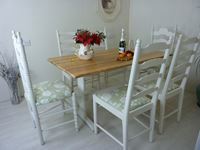 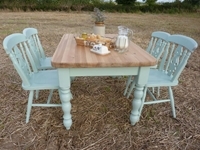 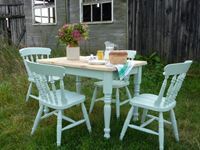 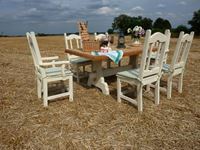 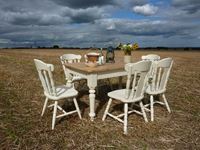 Painted Top Farmhouse Table + 6 Bow Back Chairs.